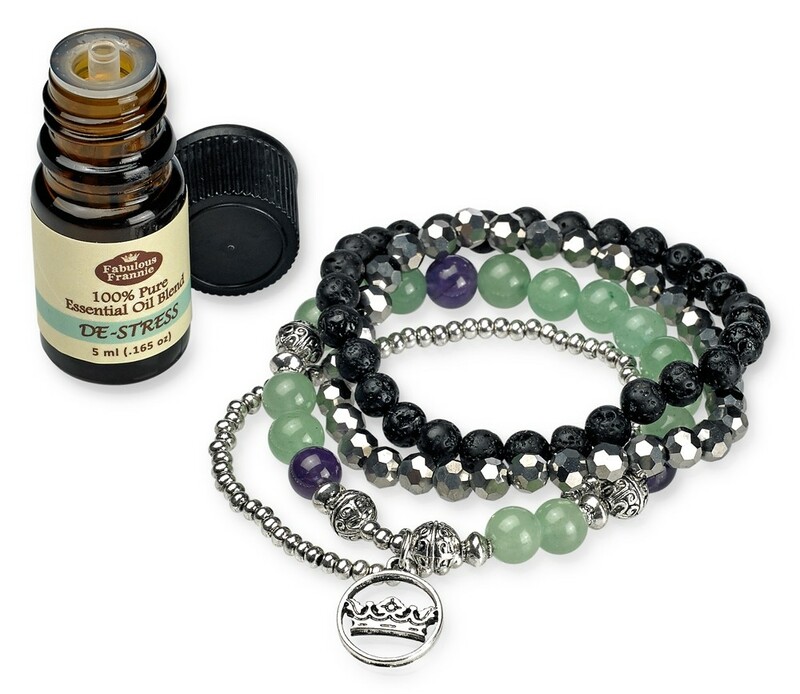 This stackable bracelet features dazzling Amethyst, Green Aventurine and Lava stones. 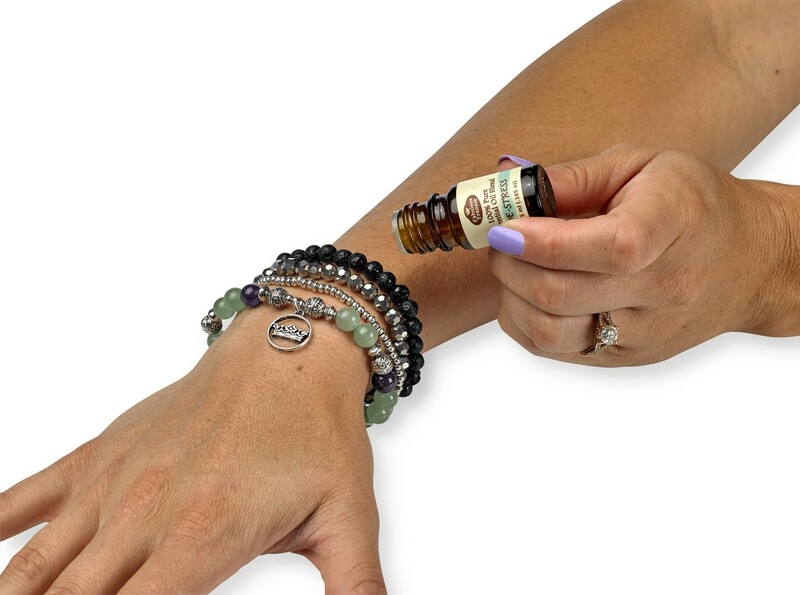 By gently rubbing a few drops of your favorite essential oils to the lava stones, the bracelet transforms into a beautiful wearable diffuser. 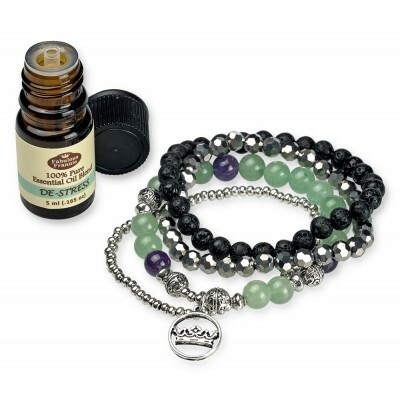 To use, add 2-3 drops of essential oils to Lava balls, re-scent as needed through out the day.